Hermosa Palms is an exclusive beachfront gated community located in Hermosa Beach, Costa Rica. Hermosa Palms is a family friendly community just 2 km from the town of Hermosa. Inside the Hermosa Palms community you find many single family homes and several lots that are still for sale. The homes vary in style and size. Some of the houses are located beachfront and others have a view over the Pacific Ocean. All the homes have easy access to the beach. The community has a club area with a large community pool with lounge chairs, 24 hour security and a friendly atmosphere. The community is the perfect location for surfers as you can just grab your board and walk out to the ocean. All the houses at Hermosa Palms are fully titled properties sold by their individual owners. The community of Hermosa Palms features both full time residents and homes that are rented as vacation rentals. Hermosa Palms is the ideal location to decompress. Playa Hermosa is a beautiful, big stretch of unspoiled beach. The beach is perfect for a long beach walk and to watch to sunset over the Pacific Ocean. Playa Hermosa is very popular among surfers as it has one of the most consistent surf breaks on the Pacific Coast. In Hermosa you find a basic convenience store and restaurants. Hermosa is 10 minutes south of Jaco where you find plenty of services and amenities. In Jaco there are several large supermarkets, banks, medical services, shops, spas, casinos and many restaurants and bars. Jaco is well known for its nightlife! There are plenty of activities to do around the Jaco and Hermosa area. Surfing is of course very popular on the beaches of Jaco and Hermosa. The waves in Jaco are better to learn how to surf as the waves in Hermosa are for the experienced surfers. 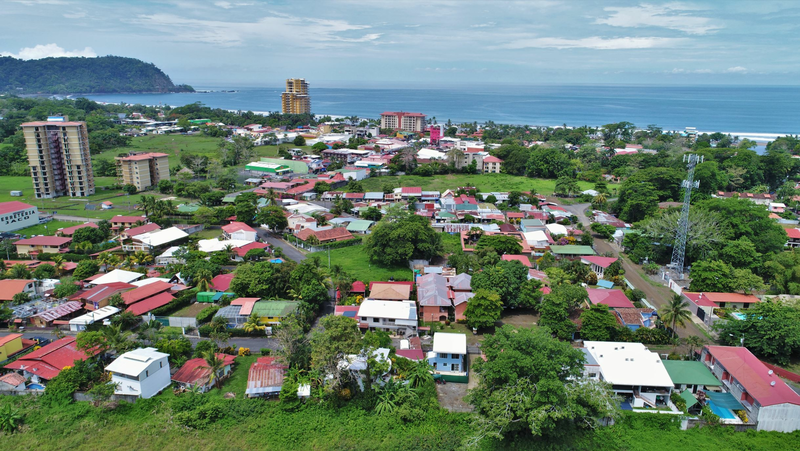 If you are looking for real estate in the Hermosa Palms community or Costa Rica feel free to contact any of the agents in the REMAX Oceanside office.